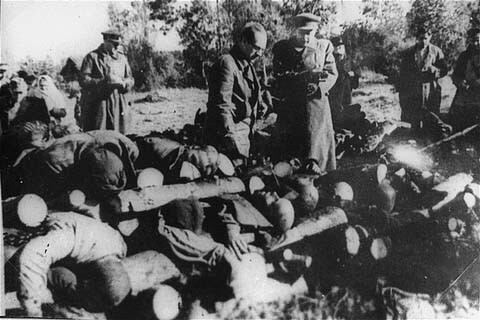 Soviet officials view stacked corpses of victims at the Klooga camp. Due to the rapid advance of Soviet forces, the Germans did not have time to burn the corpses. Klooga, Estonia, 1944.